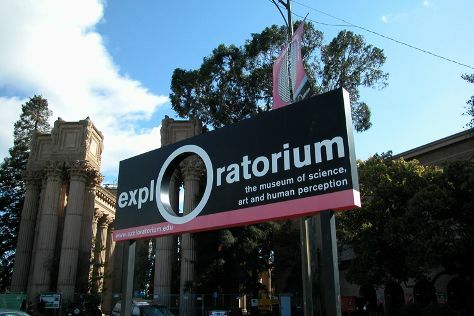 Bring the kids along to Exploratorium and Japanese Tea Garden. Take a break from San Francisco with a short trip to Wine Tours & Tastings in Napa, about 1h 10 min away. Next up on the itinerary: take in the views from Golden Gate Bridge, get engrossed in the history at The Gregangelo Museum, browse the different shops at Ferry Building Marketplace, and take in the pleasant sights at Fisherman's Wharf. Plan a trip to San Francisco easily and quickly by telling Inspirock to suggest an itinerary. In April, daily temperatures in San Francisco can reach 67°F, while at night they dip to 51°F. Cap off your sightseeing on the 29th (Mon) early enough to travel back home.